The best cocktail menus for holiday entertaining offer a blend of both sweet and savory snacks and confections. 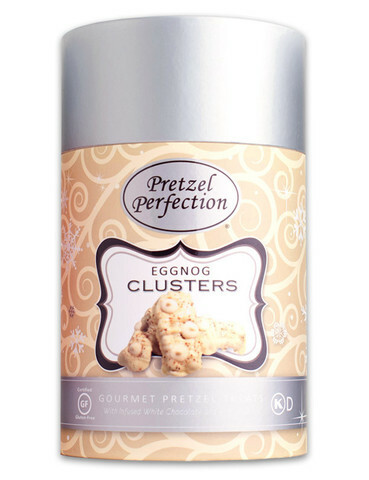 You can get both tastes in the same snack with Pretzel Perfection’s Holiday Clusters (www.pretzelperfection.com). These tempting bite-sized morsels each contain just the right amount of crunch and chew and come in three varieties: Salted Caramel (our favorite), Peppermint and Eggnog. The packaging is also perfect to you to top off with a bow and use as a hostess gift. If you are a fan of pretzels, this line of gourmet pretzel-based snacks will quickly become a family favorite as well as a party tradition. 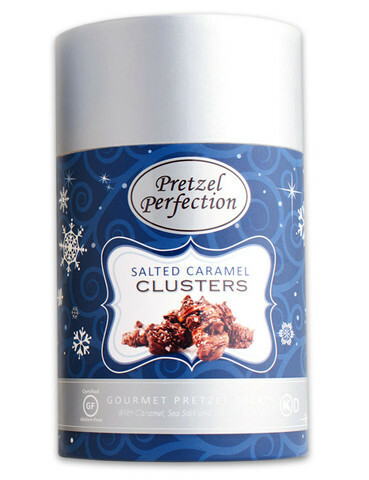 Pretzel Perfection Holiday Clusters – Gotta Love It! If you love the taste and aroma of soft pretzels, you will love the new Pretzel Dogs being offered at Sonic Drive-Ins (www.sonicdrivein.com). They are the perfect combination of two great snack favorites — hot dogs and pretzels. A hearty 100% pure beef hot dog is nestled inside your choice of an original pretzel bun and seasoned with mustard or upgrade to the Cheesy Bacon Pretzel Dog for even more intense flavor. Nicely packaged in an All-American red, white and blue cardboard sleeve, with aluminum foil heat bag to keep your items hot until you reach your travel destination. The new Pretzel Dog offerings pair perfectly with Sonic’s authentic ice cream shakes for an easy and affordable impromptu picnic during the final weeks of the summer season. 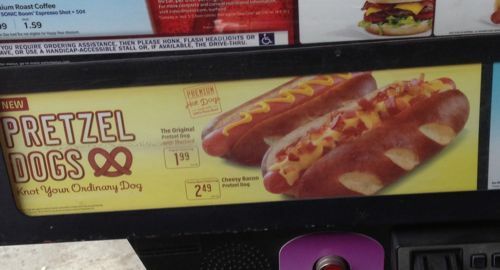 Sonic’s New Pretzel Dogs – Gotta Love It!